See the Harbour Bridge, Opera House, CBD then fly over the northern beaches, before returning over scenic Hawkesbury and Pittwater. 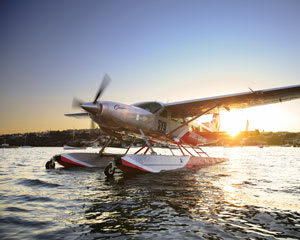 The ultimate Sydney Seaplane flight. For those wishing to treat themselves to the absolute highlights of Sydney’s famous coast and waterways the 30-minute ‘Sydney Secrets’ seaplane flight is a must! The immaculately restored, classic Beaver seaplane adds to the nostalgia - such a contrast to the myriad of high-tech cruisers zigzagging the bay. After encompassing the Harbour Bridge, Opera House and with views toward the CBD, you will continue north from Sydney Harbour. Your experienced pilot knows this area like the back of their hand and will point out the famous beaches along the route, including Manly, Curl Curl, Avalon and the iconic Palm Beach – where Australia’s favourite soap ‘Home and Away’ is filmed. You will return to the Harbour via the yachties paradise of Pittwater and be amazed at the number of boats grouped around the nooks and crannies of this picturesque waterway. Gliding gracefully over the surface, the single-engined Beaver eventually touches the water, leaving a trail of white foam and noise, until finally coming to rest. The sedate, high wing beaver aircraft is perfect for still or video photography. Flight duration: 30 minutes. Departs 10:00am. 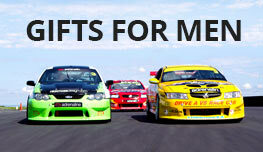 Flights are available 7 days a week in the morning between 9am and 11am depending on availability. Price is per person. We require a minimum of 2 people to confirm a flight. The Pilot (Tim) was an excellent pilot with exceptional skills in landing and take off, I loved the flight in every aspect of it, it was perfect. Our seaplane flight was excellent and lived up to expectation. The reception and facilities at Rose Bay were very good and we enjoyed the whole experience. Trying to book with Adrenaline was not as straight forward being advised to use website, needing to phone to clarify but not able to get through , still not sure what I have been charged. The birthday gift to our father was VERY MUCH enjoyed and appreciated! 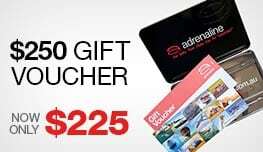 Thank you Adrenaline and Adam the Pilot! Best way to get to Rose Bay is to get the bus from the bus interchange at Edgecliff station. The bus interchange is on top of Edgecliff station. The ferry service from Circular Quay is very poor especially in the middle of the day. Absolutely fantastic trip. Would recommend it to anyone. Fabulous. Great adventure, wonderful trip. Thoroughly recommend this brilliant flight. Had a great experience, our pilot Tim was exceptional!